The stories I’ve been hearing lately from others living with the constellation called progressive multiple sclerosis and the people who love them, are nearly unimaginable. I almost feel negligent for complaining in comparison. Really. One friend, after having received steroids in an attempt to remediate the effects of an exacerbation, was left with necrotic hip and shoulder joints. This means he is living with the equivalent of four constant joint fractures every moment of his life. Another friend, after fracturing her femur, had to have her tendons surgically severed in order to allow for daily functioning and care. Her beloved husband, her primary caregiver, is caring so deeply for his wife, the mother of his children. From the outside looking in, it is a sacred practice of love and devotion; and from the inside out seemingly pushing him beyond his boundaries. Really, this illness knows no bounds. To me, it is almost incomprehensible. The prospect of watching one’s body decline, one function after another, has been beyond what my mind can hold. And it is beyond my mind where I have come to accept these circumstances and be able to live with them. What keeps occurring to me, from beyond my mind, is that we are being prepared. I don’t know how I know this, but I know this. No question. I also know that I don’t know what we are being prepared for, but we are without a doubt. 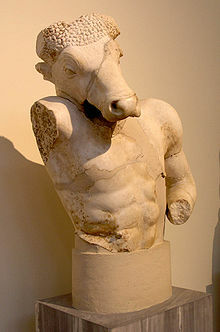 In Greek mythology, the Minotaur is the monster, half bull and half human, who dwelt at the center of the labyrinth. The Minotaur, in my Story, can be represented by MS. The labyrinth can be understood as the Spiritual Path. This is where the title of my blog comes from. Actually, some people refer to MS as their MonSter. The Minotaur represents a distortion of authenticity of Spirit perpetrated by the ego. This projection needs to be fed through continual distortions of Truth or addictive behaviors. The Minotaur becomes transformed, or liberated, through honest reflection, or finally facing one’s core limitations. Many people feel victimized by whatever curriculum is before them, whether it be illness, caring for someone with an illness, or other challenges, whether they are physical, emotional, financial, etc. that take them to the edge of their limitations. Feeling victimized by the illness perpetuates feelings of powerlessness. Often I feel like the heroine of my Sacred Journey through the labyrinth, by encountering my personal Minotaur. It can be said that this monster in the center of my mandala represents a battle with my own willfulness, or my bullheadedness. This encounter is as different for everyone as the symptoms of the illness is different. Each person’s struggle is their battle with some aspect of their ego, a significant block to living authentically in deep connection with Spirit, in Love. My willfulness has been a huge hindrance keeping me from surrendering deeply to the What Is. And it is in living with what is, where true joy lives. Who wouldn’t want to live in joy? What is one willing to give up in order to live in this state of love, this state of oneness? I believe the Minotaur is the Guide who will return us to this state, if our soul is willing. Of course, our ego is not willing, the ego is complicit in the limitation whose sole purpose is keeping oneself in the illusion of safety. I also believe, for myself, I had been given many opportunities to surrender, but was unable to comply, for whatever reason, during an earlier time of development. Agreeing to this PhD level curriculum is directly related to my maturation which has brought willingness and courage. I have empathy for those who don’t yet know that we are being prepared. I didn’t know in the past and it was excruciating. Knowing is merely a process of being able to briefly turn aside from the suffering and allow oneself to See. That’s what it took for me. I must’ve prepared the foundation for this Knowing to take root. One’s Sacred journey through the labyrinth, I believe, is as arduous and excruciating as one needs it to be in order to finally surrender. Many people do not undertake this Journey until they face their death. In my opinion, whatever it takes to finally have the resources to face this Sacred encounter. Each journey is perfect for the makeup of the individual. Judging or comparing one’s design is merely resistance and creates more suffering. Many people appear incredulous that I could actually have gratitude for having the most progressive form of such a dreaded disease as multiple sclerosis. Once I have lived in Love, I would do whatever it takes to be in that state. I suspect that with the guidance of the Minotaur, my bullheadedness has morphed into healthy determination, for which I have much gratitude. By the time I entered Dr. Klinghardt’s office, I was already dependent on a wheelchair. Dr. Klinghardt had the dubious distinction of receiving the most intransigent cases of lyme disease that had failed to improve with other doctors and many had morphed into progressive degenerative illnesses. In one of his lectures, I remember hearing him say he would rather treat acute cases than illnesses such as multiple sclerosis. In retrospect, I can understand why. Dr. K is a world renowned M.D. PhD with offices in the US and Europe. When I was preteen, I was riding my trainer’s horse in a horse show. All I remember is sitting in the saddle, nervously, and the ground coming up and hitting me. The next thing I remember is being in the truck on the way back home. There is no memory of what transpired between those memories. There was no recollection of being brought into the center of the ring during the class, my clothing being loosened or any other reports I later heard. There is no memory of his horse being trailered or me climbing into the truck. I only remember looking at my legs sitting in the truck upon our return. Our doctor made a house call and acknowledged a probable concussion, but no treatment was prescribed. We didn’t wear helmets those days. How could Dr. Klinghardt have possibly known that I had a head injury? How did he know a horse was involved? With the revelations of the latest research regarding head injuries in football and the long-term neurological illnesses being incurred, I couldn’t help but consider my history. Could one concussion effect my body to this degree? Did this accident seal my fate? Are we that fragile as humaings? It was after I returned to a life with horses that the symptoms began to accelerate considerably. I had not been deterred out of fear. After all, I could always trust my body. So in my 50s I learned to jump horses. For having much fear in my life, it did not show up in physical activities. Could reconnecting with horses been a trigger for the symptoms? Many of these questions are unknowable, especially on a medical level. I believe that an accelerated path such as what I have undertaken, cannot just be one fluky incident. I am not a victim in a cruel, arbitrary Universe. I have no doubt that this curriculum was required for me to evolve profoundly on a spiritual level. I know this to be true in my situation. My daughter sustained a head injury in her 20s. When we went to see John of God in Brazil together as I began to limp an amazing thing happened. After a treatment of psychic surgery from Joao, we had been instructed to return to the casita where we slept for 24 hours straight. When we both awakened, her brow had swelled for no apparent reason. She had had a sunburn, but that would not explain her enlarged brow. She acknowledged that the only time she had experienced this was after her head injury. I believe that Casey had a profound healing that day in Brazil. There was a reason that this illness was not cleared during my two week visit with John of God. At the time I believed that I had failed, but over time I have come to realize that healing is not black-and-white, that there is a bigger picture at work here which is part of a loving Universe and part of the Great Mystery. As I have matured spiritually, my gratitude for how this Mystery has shaped and guided my life has grown. Horses have been instrumental in bringing much guidance into my life, which has, in turn, brought much joy and evolution to my Soul. What Does True Healing Mean? When we talk about healing, what does this mean in its greatest sense? Does it mean the body heals? Does it mean that we feel better? What I have learned in my journey, is that true healing means bringing oneself to wholeness, understanding the totality of our existence; finding love from the inside out. In my particular situation, I needed to understand that I was not my body. My body is, however, a vehicle to understand the totality of my soul. This can be mind-boggling, because we are not our minds either. 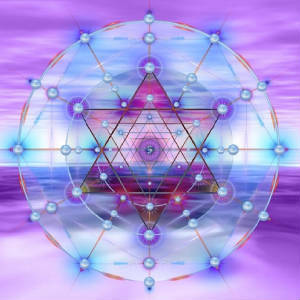 The purpose of our physical incarnation is to have experiences and evolve. This in turn will grow and enrich our souls. Many people who are born at this time, have chosen to enter into a challenging time in history, to be a helper. A light worker can be identified by taking on challenging circumstances and following it through to completion, or transformation. In order to transform suffering, one has to enter the energy form of the suffering; the greatest healing happens from within the same vibrational frequency. Sometimes the healing manifests within the body, sometimes it doesn’t. Sometimes the heart comes to completion and the body dies. Some of the most profound healings happen when people face their mortality. To limit the concept of healing to the physical body is reductive. Some of the deepest healings I’ve witnessed were when people were working with life-threatening illnesses that were degenerative and irreversible. Some people believe that certain souls choose to take on significant challenges in order to move themselves and their soul families forward in their evolutionary trajectory. If this sort of curriculum is consciously chosen by the higher self and physical healing is not a part of the program, and acceptance and joy can be attained, the transformational value is immeasurable. There are many who believe in the orthodoxy of the “law of attraction.” This is a valid truth, but one needs to consider that sometimes the soul attracts what is in the individual’s highest good, not necessarily what the ego wants. My ego would never have chosen this curriculum. But, in retrospect, and in view of the bigger picture prospective, I acknowledge my courage and growth and the evolution of those my life has touched. Healing is a complex, mysterious and Sacred Journey. In expanding one’s understanding of true healing, our soul’s capacity for love and empathy expands. And, according to me, my fellow travelers and the Hokey Pokey, that’s what it’s all about.